The buildings were made using SIPS and ICFs which provide sustainable benefits as it helps support the camp’s mission on community development among the youth. Camp McLean is one of the primary scout camps for the Scouts Canada Fraser Valley Council, servicing over 6,000 members and located along the Little Campbell River outside of Langley, British Columbia. 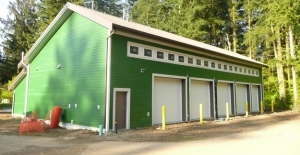 Following the organization’s emphasis on environmental conservation, the camp’s newest buildings are built green with help from Plasti-Fab products. grade walls, and the Insulspan® Structural Insulating Panel (SIP) System for the roof. Both building systems deliver a continuous layer of expanded polystyrene (EPS) insulation that dramatically reduces heat loss due to thermal bridging and air leakage. An adjacent 2,300 sq. ft. storage building was constructed with Insulspan SIPs for the walls and roof, and an Advantage ICF foundation. 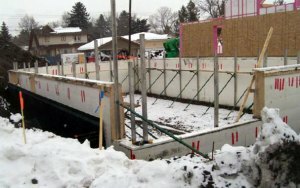 To insulate the slab, both buildings use 2 inches of PlastiSpan® HD EPS insulation. “The number one reason we used SIPs and ICFs was sustainability,” said Barney Dohm, Vice President and Chief Operating Officer of general contractor TECHnic Construction. “Scouting is very much about leaving no trace in the environment, so we wanted to have as small of a footprint as possible, and we wanted to reduce energy as part of sustainability. “I’m very impressed with both the Advantage ICF and Insulspan SIP systems. There is little waste on the job site, and as far as construction is concerned, the scheduling and site coordination are big pluses,” Dohm added. Insulspan Sales Representative Dave Stevenson, who worked with Dohm on the project, notes that reducing energy costs will allow more funds to directly support Scouts Canada’s mission to provide values-based support for youth in the community. “Plasti-Fab is proud to support Scouts Canada on a project that will benefit kids in the community for many years to come,” said Stevenson. Here is a interesting article about acclaimed builder Effect Homes and the insulation products that they used to help boost energy efficiency. Along a quiet tree-lined street in Edmonton’s Belgravia neighborhood, an award-winning Net Zero Energy Builder is turning heads with their cutting-edge green development. Effect Homes, the recepient of the Environmental Recognition Award from Canadian Home Builders’ Association, Edmonton Region and finalist for the Alberta Awards of Excellence in Housing, has presently done work at Belgravia Green, a project which has garnered attention from both local and national media. The places has also been toured by over a thousand people, including Edmonton’s mayor Stephen Mandel. Belgravia Green consists of three side-by-side homes similar in their net zero energy ambitions but using different strategies to produce as much energy as they consume over the course of a year. Although the homes have different wall construction and heating systems, one thing they all have in common is a finished basement constructed with Plasti-Fab’s Advantage ICF System® and PlastiSpan® HD expanded polystyrene (EPS) insulation. All three homes have PlastiSpan HD insulation underneath the basement slab. In addition, to further boost energy efficiency on the demonstration home, Wold added 5 inches of PlastiSpan HD insulation to the interior wall. The insulation had a vertical edge relief to accommodate a recessed nailer. “Using the Advantage ICF System and the PlastiSpan HD insulation helped us make the house as energy efficient as it needed to be,” he added. I recently came across this interesting piece on Mountain Equipment Co-op’s continued commitment to environmental conservation by building a new store using the sustainability benefits of Insulspan SIPs. Interesting read featuring a company known for their green efforts and even devoting a full section on their website about sustainability and reducing their business ecological footprint. Mountain Equipment Co-op (MEC) has built a reputation for providing Canadians with quality outdoor gear and doing so with environmental sustainability in mind. The company’s goal to protect the natural playground enjoyed by their customers is reflected in their products, operations, and new 21,000 sq. ft. retail location in North Vancouver, British Columbia. To cut down on the building’s energy use and meet the stringent LEED Gold standard, MEC selected the Insulspan® Structural Insulating Panel (SIP) System for the walls and roof. 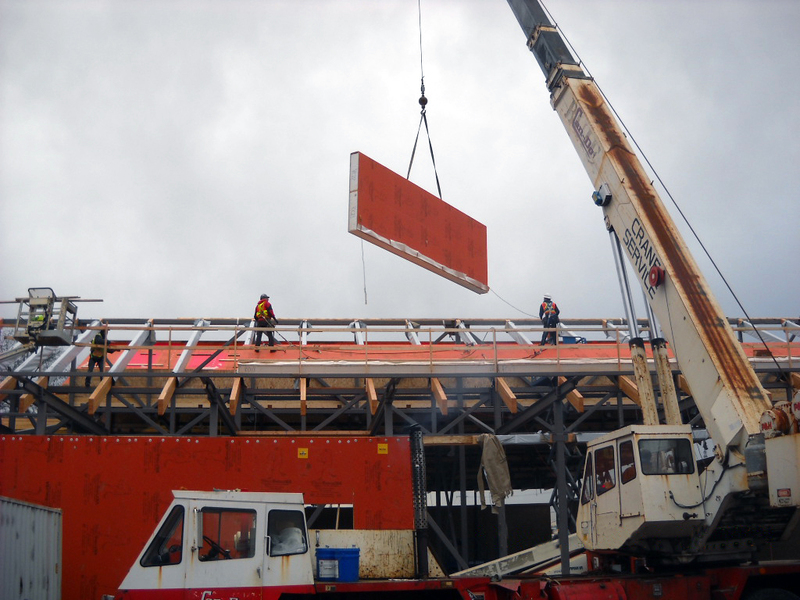 Insulspan SIPs enclosed the building with rigid closed-cell foam plastic insulation and a complete air barrier—greatly reducing heating and cooling needs. MEC estimates the building will use 45 percent less energy than a code-built retail facility. Clerestory windows in the building’s distinctive saw tooth roof disperse natural light over the retail floor, while daylighting and occupancy sensors dim electric lights when they are not needed. An innovative radiant heating and cooling system circulates hot or cold water through the building’s concrete slab based on predictive controls that adjust for the upcoming weather forecast. These high tech features are blended with native landscaping, onsite stormwater management, and siting that seamlessly integrates with the adjacent trails of Lynnmouth Park.